The U.S. Department of Housing and Urban Development will require new appraisals on some real estate-owned properties financed by the Federal Housing Administration, Mortgage Daily reported Dec. 10. Historically, when buyers of REO properties utilized FHA financing they had been able to use the appraisal originally ordered by HUD. However, the updated requirements will require new appraisals in situations where a direct endorsement underwriter decides there is a material deficiency in the original HUD REO appraisal. HUD also will require new appraisals in the instance of an “as-repaired” appraisal being used when a borrower is applying for a 203(l) loan. The agency also will require new appraisals when an REO sales contract is not ratified within 120 days of the HUD-REO appraisal’s effective date and when a HUD-ordered appraisal is no longer valid. The updated guidelines also specify that when a contract sales price is higher than the HUD-ordered appraisal, the FHA loan will be based on the lower of the sales price, the new appraisal or the initial list price, Mortgage Daily reported. HUD further stipulated that when a new appraisal is ordered, the servicer cannot use the original HUD appraisal to underwrite the loan and that there must be written justification for the new appraisal. The updated guidelines note that appraisers must consider the motivations of sellers and buyers when considering comparables and that short sales should be analyzed in order to determine their effect on subject properties. Foreclosure sales, however, cannot be used in comparables. The new guidelines take effect Feb. 6, 2014. You have misinterpreted the Mortgagee Letter. It does not state “Foreclosure sales can not be used in comparables”. As always the Appraiser MUST consider their affect. Transfers to a mortgagee or entity owning the mortgage loan by deed of trust through foreclosure sale or sheriff’s sale are not acceptable as comparable sales under any circumstances. REO sales are not the same thing as foreclosure sales. Hope this clarifies your concern. 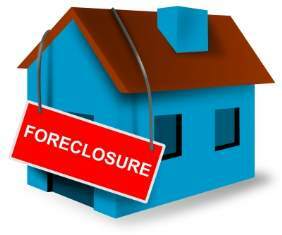 Your statement will be misinterpreted as Sales of foreclosed properties. This is per Appraisal Institute (not our statement). In any case, the PDF Mortgagee Letter in question is displayed below the article for appraisers to download or view.